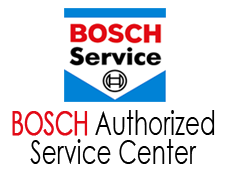 When it comes to maintenance or repair of Audi, BMW, Mercedes-Benz, Mini and Porsche automobiles, there are only a few service centers in the Greater Phoenix area to choose from…so why not choose the best? Autobahn AutoWorks is your premier German automotive service & repair facility in the Greater Phoenix Area. As a family owned and operated business our reputation is reflective of our many customers who have been with us for years as well as our new customers. It is important to us to repair and maintain your vehicle to the highest standards with factory trained technicians and the very latest in high tech equipment to diagnose and repair your vehicle. Drop in and see our “dealer quality” service center and high end waiting room area offering leather chairs, flat screen TV, complementary soft drinks & coffee and a viewing window to our beautiful state of the art service bays. When it comes to regularly scheduled service and bumper-to-bumper mechanical repairs, Autobahn AutoWorks is your Wisest choice. Performance of the proper maintenance service or necessary repairs. The highest quality parts & materials and workmanship available along with the prompt, courteous customer service you demand.